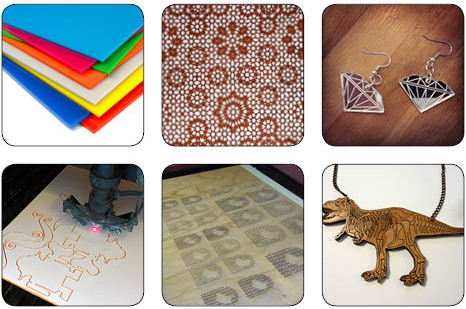 Brighton and Hove plastics offer a friendly and affordable laser cutting and engraving service for Sussex and the rest of the UK. No job is too small. We can work from digital files or hand drawn images to create the perfect results for you. The Co2 laser cutting machine can be used on a wide range of materials and has a bed size of 1200mm x 900mm so it is capable of handling most jobs. Below is a list of the materials we can cut and engrave. Usually it takes us 3 - 5 working days to turnaround a laser cutting job depending on how busy we are. If you need some laser cutting done in a hurry we will be happy to give you a quote for a speedy turnaround if we can fit it in.